This is the first of a two-part series based on my reflection of the Culturally Responsive Classroom pilot project, which ended last week Thursday. I helped develop and co-facilitate this pilot project, which you can view at http://kceltculture.blogspot.com. The difference between the first and second parts of this blog series is that this one only includes my thoughts and opinions. I will write the second part when I have collected the final evaluation from all the participants. To simplify, this part summarizes my thoughts and opinions whereas the second part will summarize the thoughts and opinions of the other participants and facilitators. I was very satisfied with the dedication and the contributions from the participants. More importantly, I was able to identify participants who are very passionate about improving intercultural and sensitivity not only in themselves but with other faculty and the students as well. I witnessed varying degrees of self-reflection, made most evident by asking questions such as “What do you do?” in a certain context that challenges the teacher’s mindset towards one or a group of students. Another type of evidence is when the participants openly admitted that they had no idea of how to relate to certain types of students. I believe the atmosphere that we co-created as a group made it comfortable for most participants to open up in such a manner. There was a certain level of trust and confidence with the group. I also believe that we were aware of the different strengths each person, participant and facilitator, brought to the group in terms of dealing with difficult cultural issues in the classroom. For example, there were many times that other participants voiced a possible solution or approach to a problem better than I could have. The biggest problem for me was dealing with such deep questions in such a short amount of time. I felt like my awareness of the time slipping by reduced the impact of some of the discussions. There were times where we explored certain issues to some degree of depth, but there were others that were skimmed. Many of the questions listed on the pilots website went unanswered or the answers were implied through the discussions of similar issues. Because the pilot participants were mainly self-selected, I believe they represented the more interculturally sensitive members of Kirkwood faculty, who would not benefit as much as those who are less sensitive. Because of this, some discussions didn’t go into much depth because we were “preaching to the choir.” I believe, but I am not comfortable in predicting, that with participants who are less interculturally sensitive some discussions will take longer as the group debates hot issues. However, I felt there were some issues that could not be resolved with our pilot group, which I believe is normal. For the same reason mentioned in the previous paragraph, I don’t believe we needed as much time to learn about ourselves. The first half of the pilot was focused on this, and it could have been easily reduced to a quarter. Most of the participants were already at a point to engage in items in the second half, which covered topics such as how to perceive students, how to communicate with students, and how to modify instruction. I designed the pilot in this way because you can’t get too far without participants realizing a need for change within themselves. If they can’t convince themselves that they need to adjust their attitudes, beliefs, and instruction in the beginning, then they will be wasting their time as the rest of the program falls on deaf ears. In hindsight, I could have spent more time on the second half than the first half with a group this well sensitized to the issues and the needs of the learners. For most of the modules, we did not have enough time to discuss all the questions or cover all the topics. I anticipated this for some of the modules, so I put the least important parts at the end. Another reason I put more content in the modules was that I had no idea how loquacious the participants would be. If they were a quiet group, then the content would be sufficient. Because of this, I don’t feel the need to change the amount of content in each module. Module 2 was probably the module with the most content. Activities #3 and #4 merged into one another, and we had to assign the theorems and strategies to overcome identity exclusivity and insecurity for reading. Module 3 was probably the weakest of all the modules, so I will most likely modify this one. Because many of our participants could not attend this module, we could not do the “Five Tricks” card game, which needs a minimum of 8 people. Fortunately, the facilitatory of this module had a backup plan that the participants felt was successful in learning about how we communicate with each other. One idea I have for changing module 3 is that we could open this part up to a panel of students who talk about their experiences. The University of Iowa offered a similar panel discussion group, and a colleague of mine said it was effective. The rest of the modules worked well or better than planned. Most of these required the participants to view videos or read material to discuss, which most likely made the discussions more lively. If this project operated more like a college course, I would have assigned more of the recommended online resources for reading. Nearly all of those resources were optional, but perhaps I should have given the assignment for participants to skim through all of them and pick one that impacted them the most. Another idea is to do a jigsaw activity, which would work well in the event that a facilitator could not make it. The videos could have been assigned in the same fashion, but I believe the videos need more guided focus questions. Because I quickly realized that many of the participants were at or near the same point of intercultural sensitivity as me, I did not feel the need to lead, except as time keeper or task manager. Only a couple of times during the 7 weeks did I feel pressure to make a concluding or definitive statement for the group. I was also very comfortable with the other facilitators taking the lead. We all had our own styles, but I didn’t notice any conflicts in the way we approached the topics. With issues such as intercultural communication, there is rarely a correct answer or response, and I believe all the facilitators were fine with this ambiguity. I respected the perspectives that each of the other facilitators brought to the project. Finally, I believe that some of our participants could have easily facilitated one or more of our modules or activities. And I plan on inviting them to facilitate in the next phase of this project. I feel comfortable with bringing most of this pilot to the next level. My biggest wish, which I believe is shared with the development team, the facilitators, and the participants, is that the faculty who are not as interculturally sensitive as most of the pilot participants attend as they would gain a lot more if they come with an open mind. Also, I would like to make the next offering more accessible to faculty at the Iowa City campus. 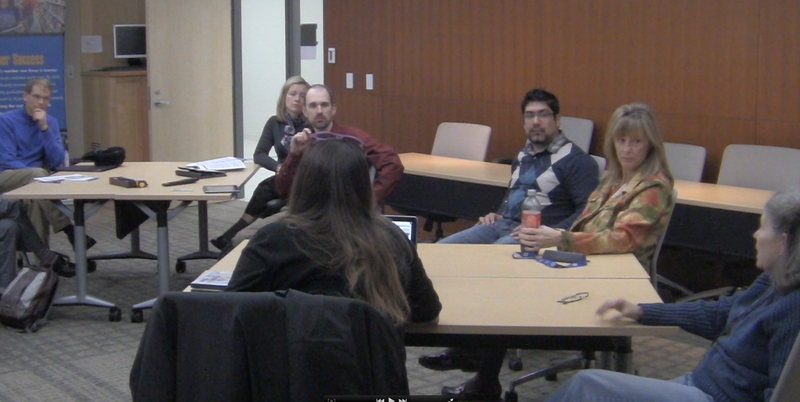 Almost half of the faculty who expressed initial interest in attending the pilot were from Iowa City. We are working with a few ideas of making this happen. We almost certainly need to collaborate with a diverse group of students to make the next phase succeed. Their voices were absent in the pilot, and we feel that this would add a lot of value to the next offering. So much passion and dedication by a few can mobilize significant change. I believe that this initiative epitomizes this philosophy. I am proud to be a part of it. Thanks for your compassionate leadership, Jeremy.